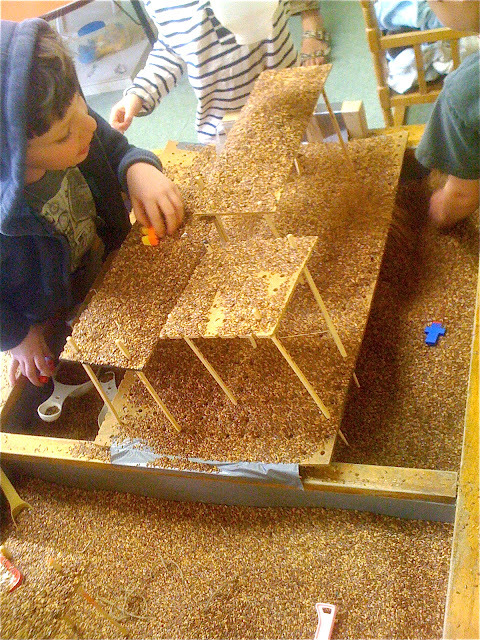 I can't imagine anyone thinks more or more deeply about sensory tables than Tom Bedard over at Sand and Water Tables. I especially love the right hand column of his blog where he lists his eight "Axioms of Sensorimotor Play." 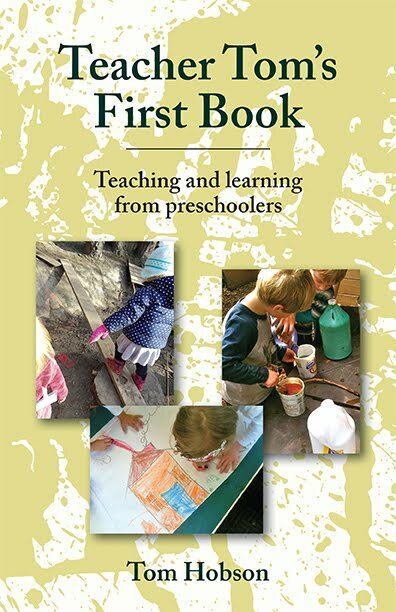 Not only do these axioms have the virtue of making me chuckle because they verify my own experience, but taken in aggregate they stipulate that if allowed to play freely and given enough time, children will explore every possible nook, cranny, up, down, laugh, and tear. This is the magnificence of play: no stone is ever left unturned. Recently, Tom posted about creating levels within his sand table using peg board, and since among the many things I'm curating in the storage room is a large sheet of peg board left over from another project, I thought we should give it a go. 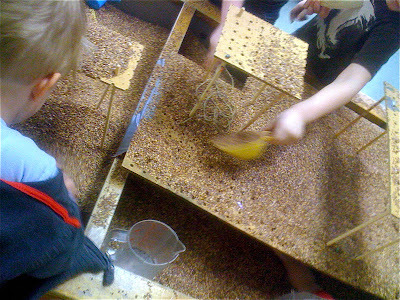 For better or worse, our peg board had become a bit warped from being leaned against a wall for a couple years, so I wasn't able to exactly re-create Tom's set up, so I just winged it, duct taping one larger sheet to one side of our magnificent sensory table, then creating lots of smaller mobile platforms from scraps and wooden chopsticks. 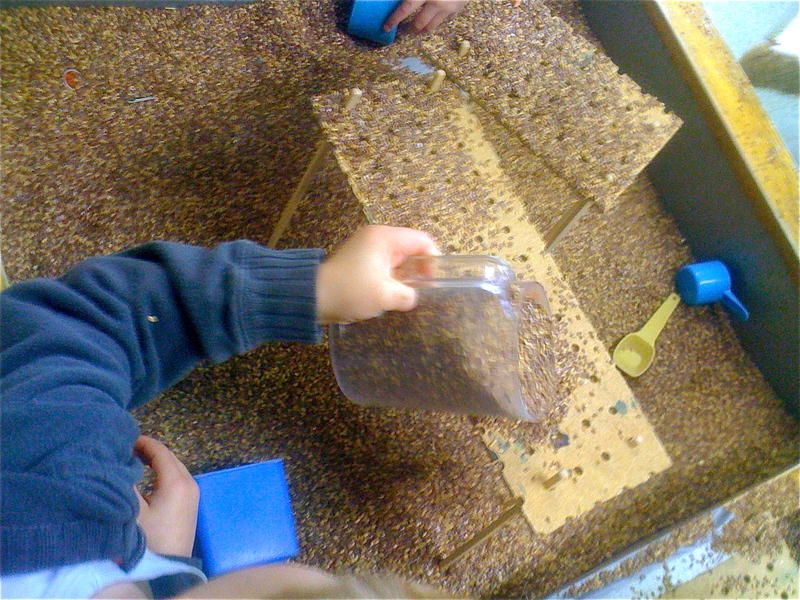 We have a massive amount of sand, but it was all the way outside in our sand pit and I had a couple large bins of flax seed within arm's reach, so I went with that. Necessity may be the mother of invention, but a storage room full of oddball loose parts coupled with a bit of laziness is certainly its father. As the children across all three of our classes, aged 2-6 played with this set up over the week, I saw each of Tom's axioms in action as the children fully explored every level, both over and under, including the floor. 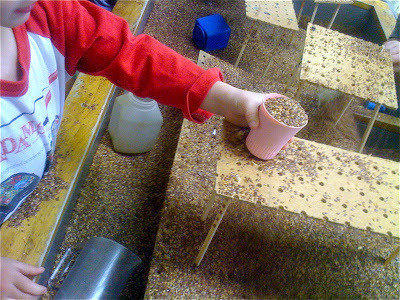 They filled and emptied every scoop and container, repeatedly. They discovered that the chopstick supported platforms could be moved around. They discovered they could be taken apart. They discovered they could be put back together. 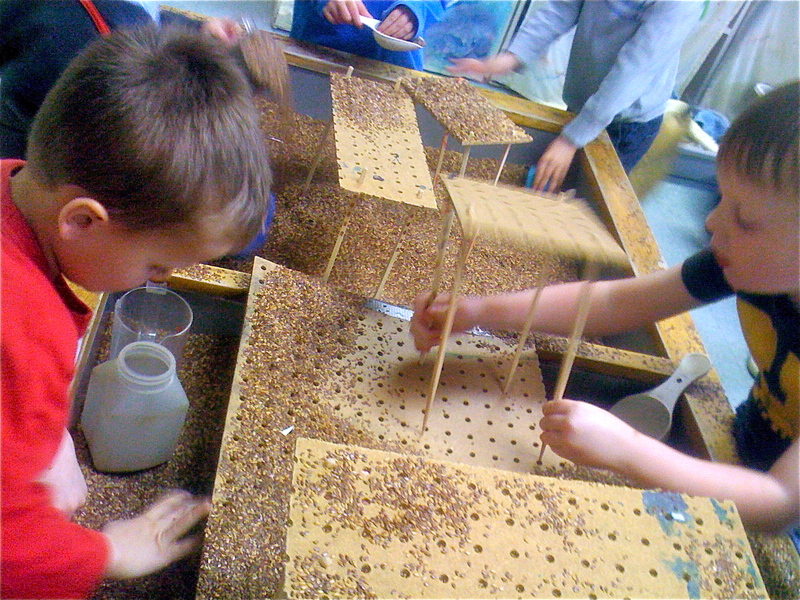 They discovered that the peg board scraps themselves could be used to move the flax seed around. 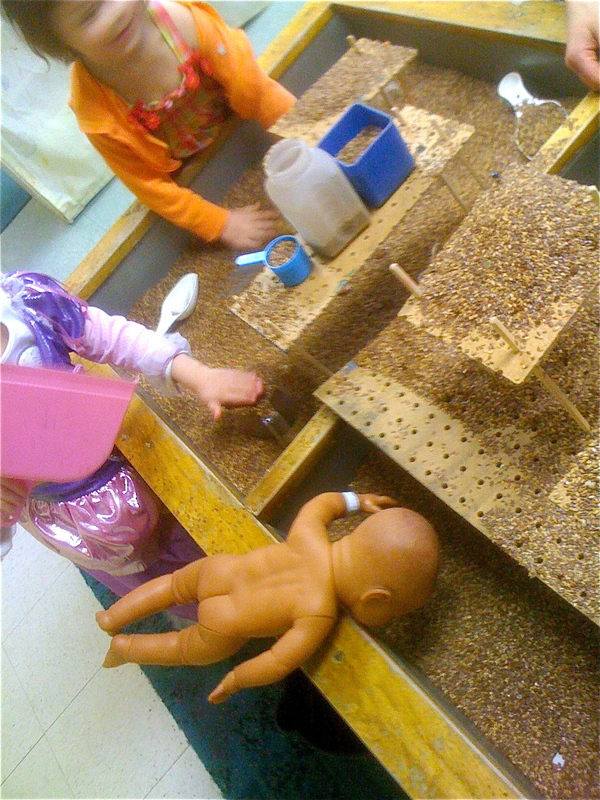 As I watched the children play with the flax seed and pegboard levels, I was in awe of their inventiveness, curiosity and motivation. Some of them spent hours there during the week, asking and answering their own questions, working at their own pace, figuring out this small corner of the world, which is really just a model of the larger world in which we all live. This is the magnificence of play.